Activity One: Who was Sir Ernest Shackleton and what was his childhood like? Give out selected pictures of Shackleton from various stages of his life (photocopied from encyclopedias/taken from the internet). Ask the children if they know who he is, or when these pictures were taken. Discuss what the pictures show about his early life and the type of family he might have come from. Give some biographical details, eg place of birth/dates/historical context. Using textbooks/reference books about the period, ask the children to investigate in groups given aspects of everyday life, eg school, leisure, home life, food (rationing). Ask the children to complete a grid with the headings: What do I know? What do I think I know? What do I want to find out? End the activity with a plenary session and correct any misconceptions, eg that Kenneth Branagh is not actually Shackleton! Refer to what they’ve learnt so far about Shackleton as ‘The Boss’. Introduce 2 other explorers from the heroic age and the ‘Race to the Pole’: Scott and Amundsen. Discuss qualities of a good leader – discuss ‘reputation’. Show the cartoon of Scott’s story – how is it similar? Different? Provide opportunities for research and role play for each of the explorers. Activity Three: How did people react to the death of Shackleton? Ask the children to find out about Shackleton’s death and the impact of this on the time. Why were people so moved by it? What did people do to mark it? (Emily (Shackleton’s wife) asked for him to be buried on Elephant Island). Discuss the way the event was reported, looking at the types of headlines written and pictures used. Discuss their accounts. Which sources did you base them on? Why? Look at newspaper/TV news reports and compare the accounts. Why are they different? Which are more reliable? Why? Children create their own newspaper column/report regarding Shackleton’s death (literacy link). 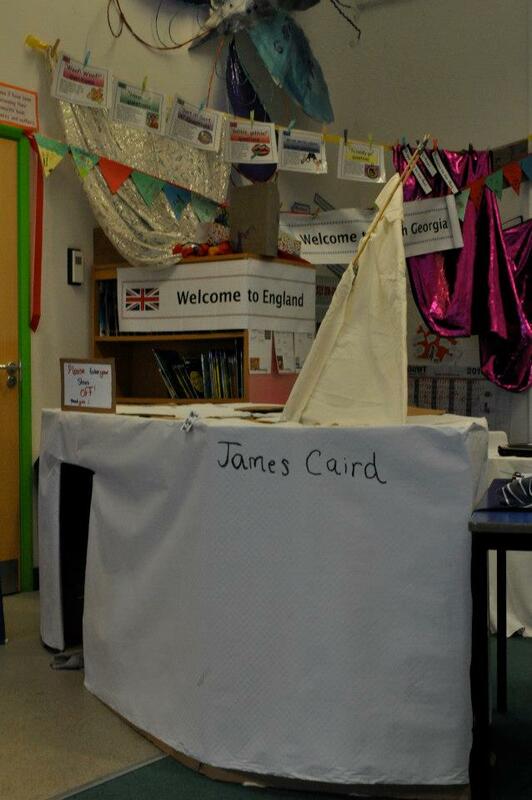 Or ask the children to discuss in small groups how to represent Shackleton’s life and achievements. They could consider eg zig-zag books, cartoon, displays, playscripts, multimedia presentation, narrative accounts. Ask the children (in groups of no more than four) to produce their own representation. Encourage the children to select the events and activities that they think were most significant for the history of the period. Hold a plenary discussion and ask What should Shackleton be remembered for? Why? What impact did he have on the history of his times? Has his life made an impact on our lives today? ‘Endurance Day’ Bringing history ALIVE!